©2003 ECW PRESS (P)2012 Audible, Inc.
What didn’t you like about Nick Hahn’s performance? I will never again buy an audiobook produced by Audible. This is the second one I've purchased with a distractingly terrible narrator. His frequent mispronunciations, awkward cadence, and obvious lack of interest in the material made it unlistenable. This did not sound like a professionally produced audiobook. I will be requesting a credit refund (again). Good content. Problem with narration. There is a problem with the audio encoding I think. Speed the narration up to at least 1.3x to be tolerable. Couldn't give the content it's due, I'm afraid. The narration was so poor and jarringly without cadence that I gave up during the first chapter. 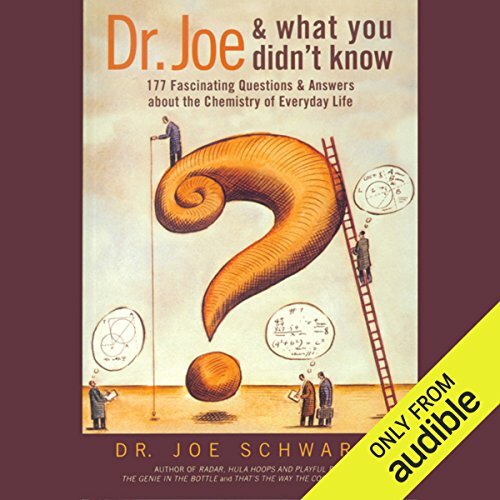 What other book might you compare Dr. Joe & What You Didn't Know to and why? The "Einstein" series by Robert L. Wolke. Very similar in scope, Wolke's books discuss chemistry as it applies to food, the kitchen, various aspects of every day life. Would you be willing to try another one of Nick Hahn’s performances? Definitely not. His pronunciation of chemicals and other technical terms is beyond absurd and almost indecipherable at points. Obviously no one bothered to so much as do a Wikipedia search for the pronunciation of things like dichloromethane, much less speak to anyone with a technical background.